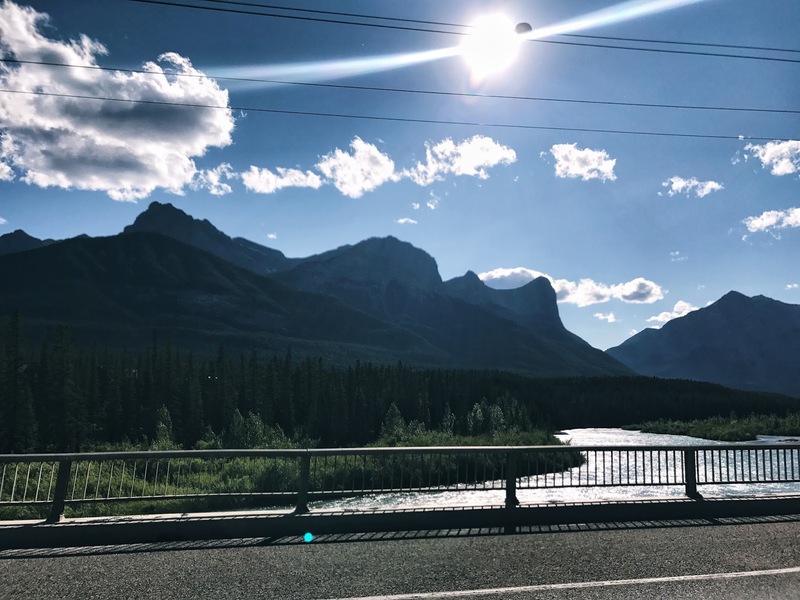 This was probably the most requested post while on my travels to Banff National Park in Alberta, Canada. 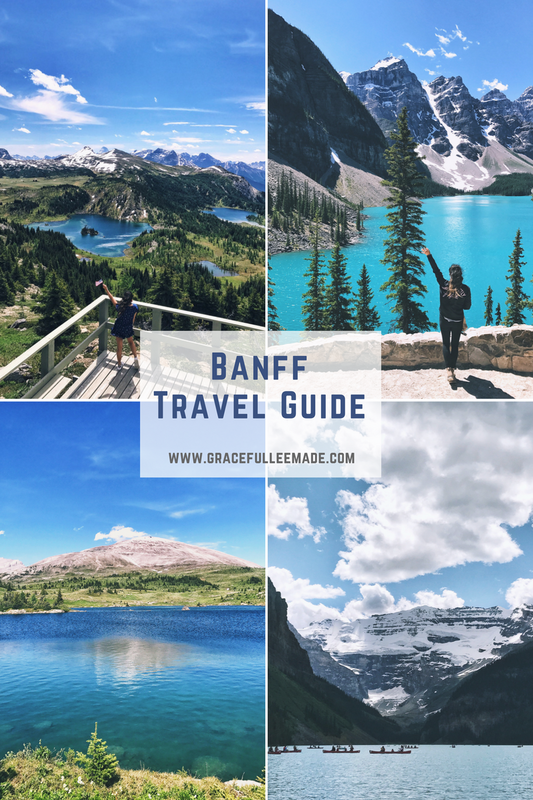 Today, I'm sharing my itinerary and places I would recommend to visit if you've never been to Banff before. 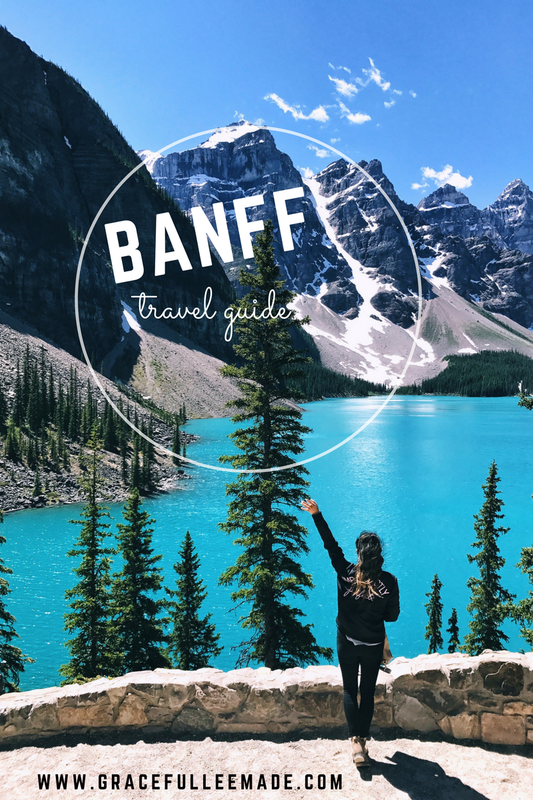 Since Banff National Park is so huge, we were not able to cover everything. However, there were certain lakes that I had mapped out prior to the trip that I wanted to see. Below, I highlighted the lakes I went to and even shared some recommendations of places to visit that I wanted to see but couldn't, due to time. 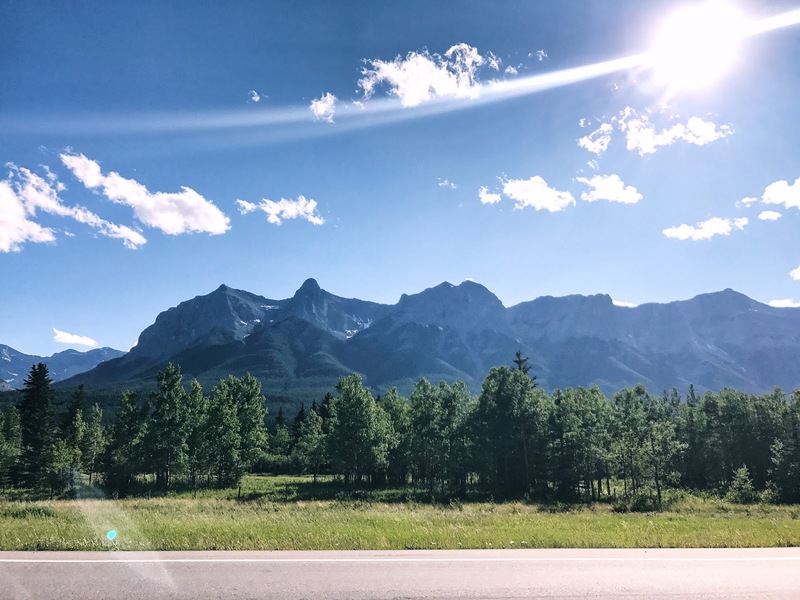 If you're planning to travel to Banff, I would recommend spending more than just a couple of days in order to really get the full experience! 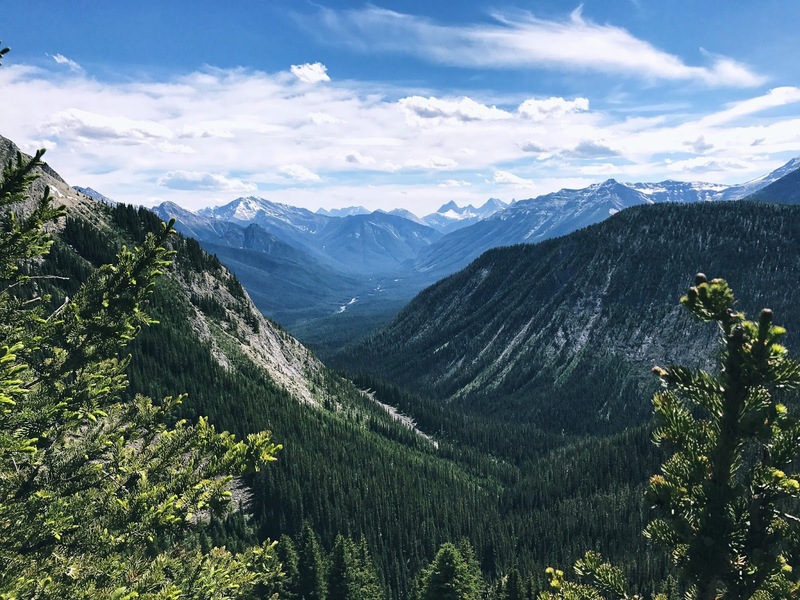 - Banff is Canada's oldest national park. 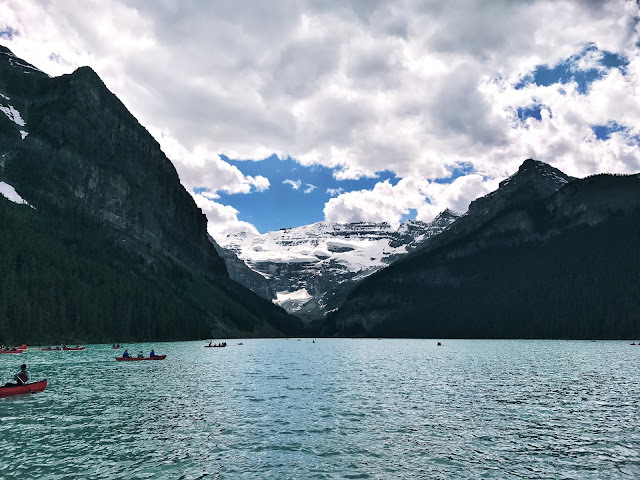 - Lake Louise (one of the lakes I went to) is known as the "Hiking Capital of Canada." - You can see the Northern Lights in the National Park. The best times are apparently August and September. P.S. PIN this image to save for future reference! On our way to the Lakes, I was stunned at the view...even from my own car window. Calgary, you really blew me away. 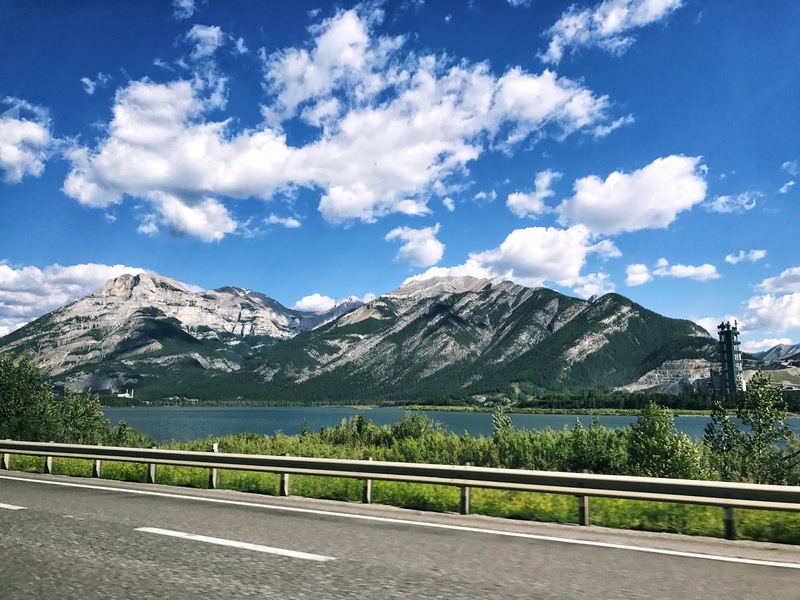 Talk about morning drive goals. 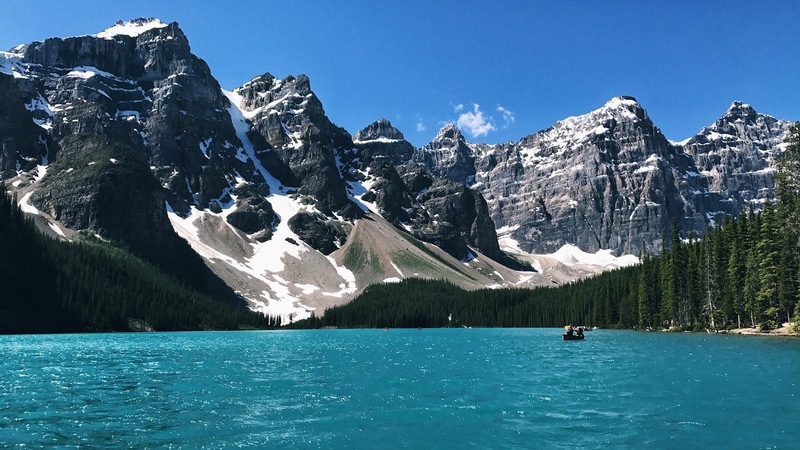 Our first stop at Moraine Lake: canoeing. Since it was peak season, we researched and found out that parking filled up fast near the lake. We arrived there just in time to get one of the last spots available in the parking lot right beside Moraine Lake Lodge, which is actually the only accommodation at the lake. 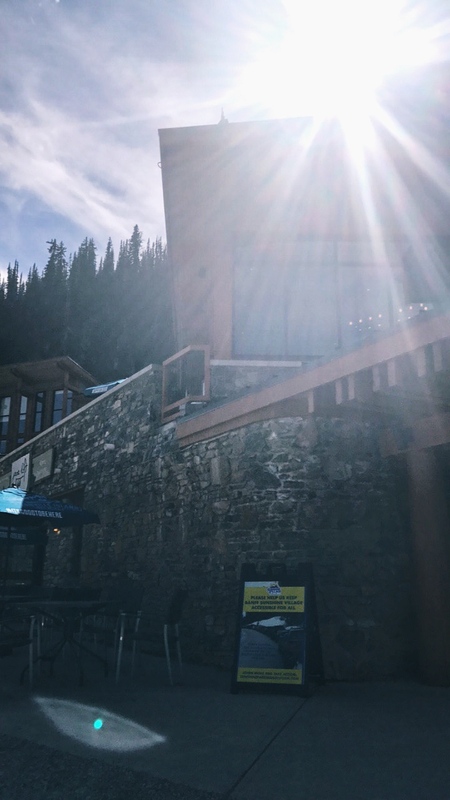 There's also overflow lots throughout the park with shuttle buses that run from 8:30 AM to 6:30 PM, in case you cannot park in the lake parking lot. Canoeing was probably one of my favorite activities that day. We rented ours at the Moraine Lake canoe rentals down by the dock. The dock opens at 10 AM to 6 PM and costs $95 an hour per canoe. The canoes can accommodate two or three people, and the rentals are strictly first come, first serve. We just so happened to rent the canoes right before lunchtime, so there was no line and hardly any people canoeing on the lake. 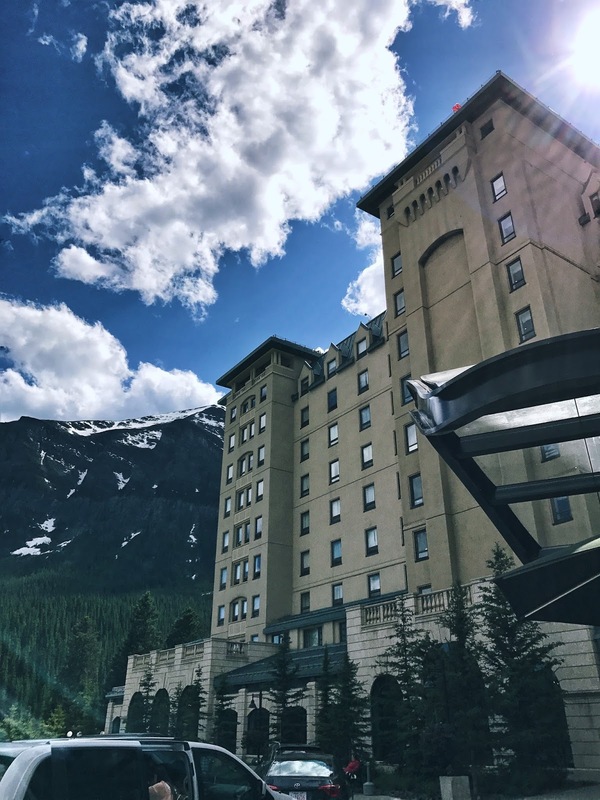 After Moraine Lake, we headed to Lake Louise. Lake Louise was more crowded because the lake is located right in front of the Fairmont Chateau Lake Louise. AKA tourist central. However, the view... was spectacular. I mean, the photos honestly don't do it justice. 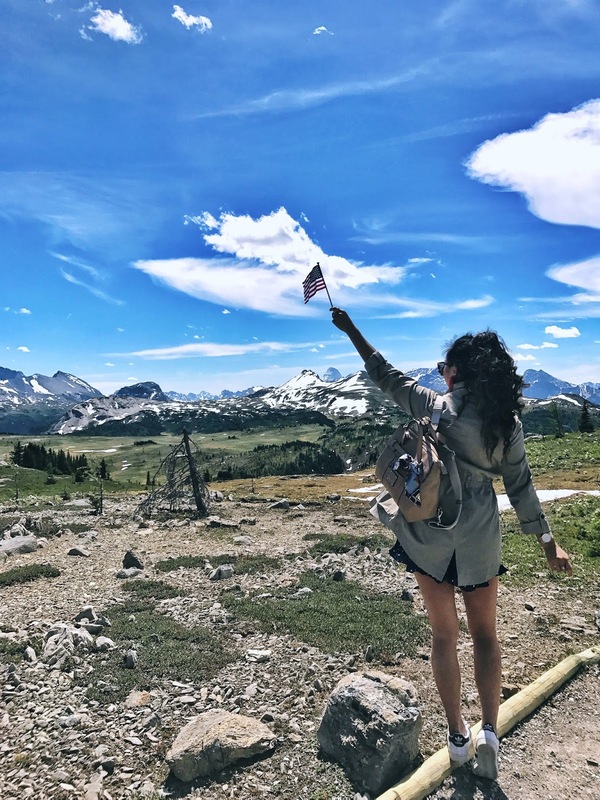 On the 4th of July, we drove to Banff Sunshine Village Ski Resort for a day of hiking. 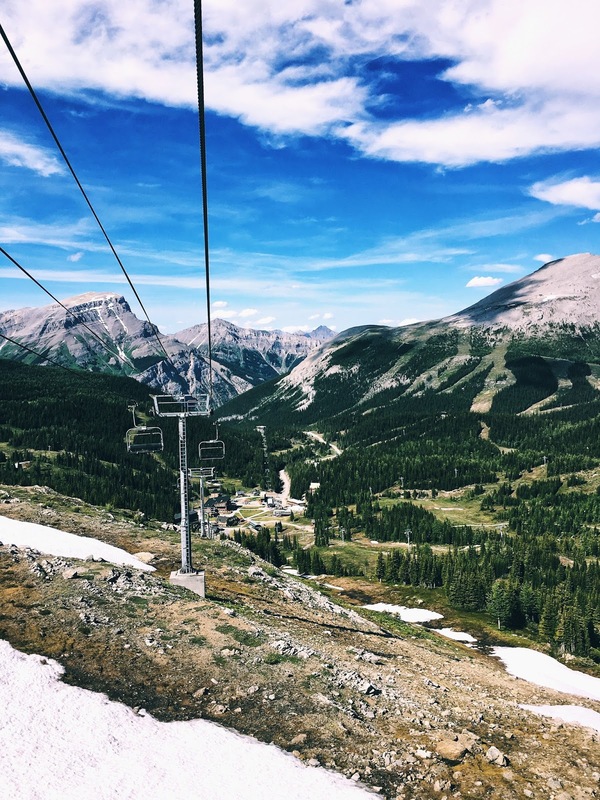 We had originally planned to ride the gondolas to get an aerial view from the mountains, but found out that they were closed on weekdays and opened on weekends, due to maintenance. 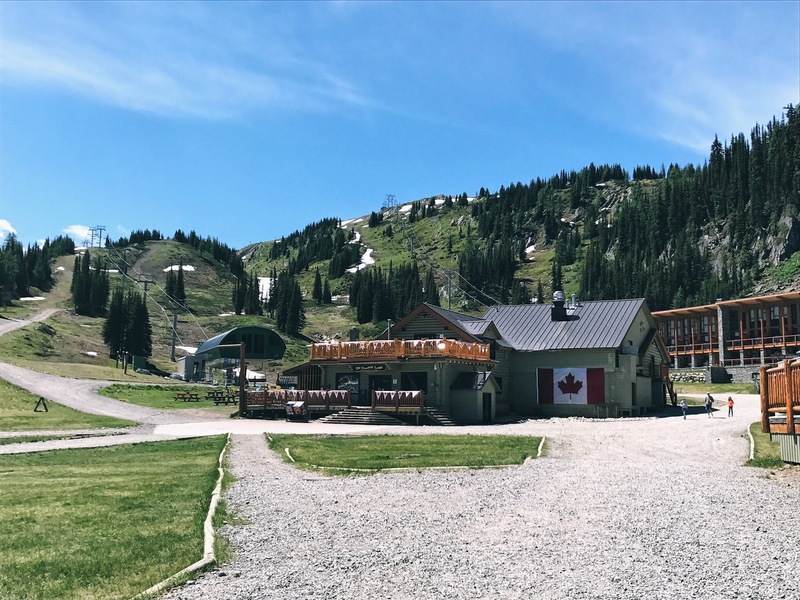 So instead, we bought round trip tickets to take the standish chairlift to the top of the mountains and hike the Sunshine Meadows trails. Ever wanted to be in two places at once? 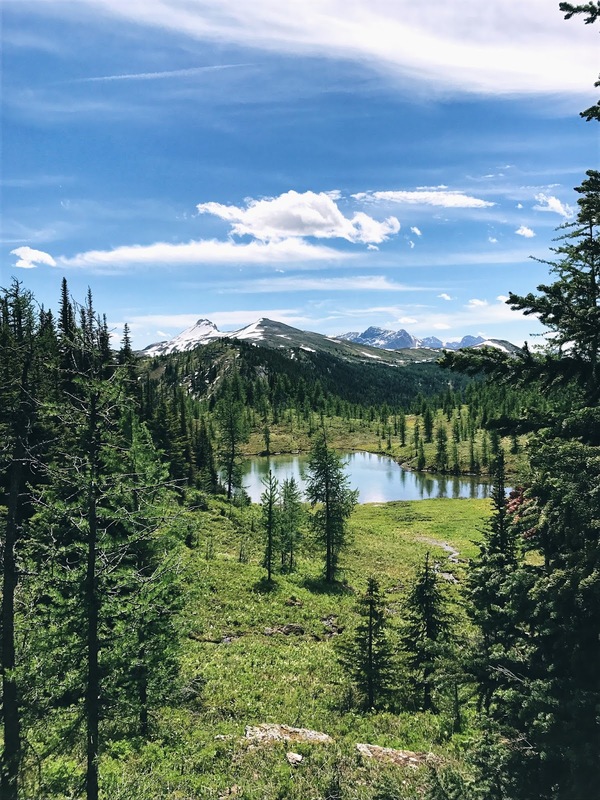 Fun fact: the view from Sunshine Meadows Deck overlooks the three high-alpine lakes (Laryx, Grizzly, and Rock Isle Junction) that are actually in British Columbia. 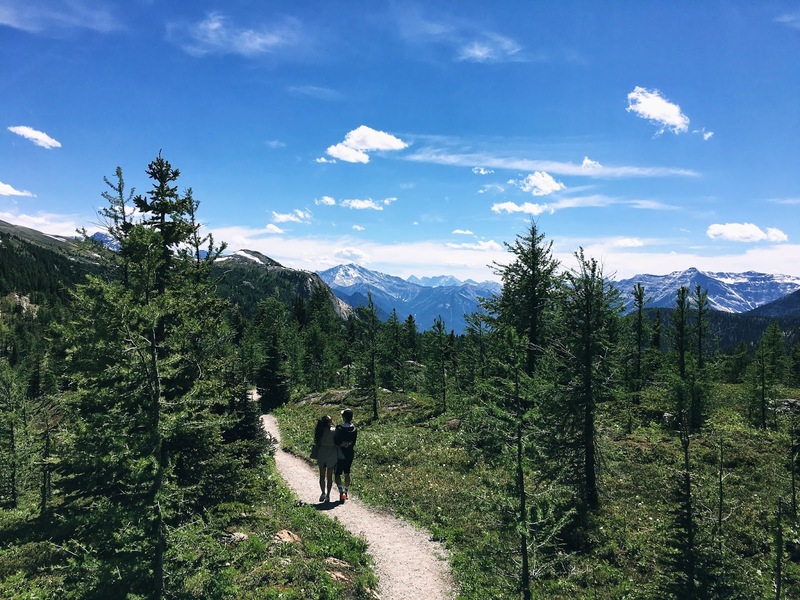 The trails run between the continental divide between Alberta and British Columbia. 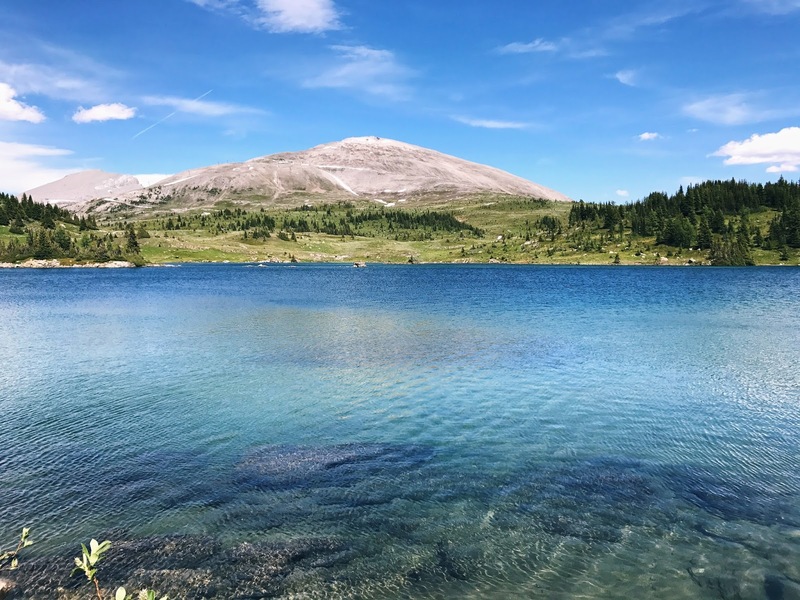 This was one of my favorite lakes on our hike because of the beautiful scenery surrounding the lake. Not to mention, the color. That morning, we had bought our lunches ahead of time because we knew we'd be hiking with limited food stops. We decided to have a lunch break at this spot with this incredible view. Next, we continued our hiking to Grizzly Lake. and then looped all the way back to Sunshine Meadow Deck. The hike in total took us about 4 hours and 8 miles. It was exhausting, but so worth it. - BRING SUNSCREEN. Even though it wasn't as hot or humid as NC temps, I felt like the Canadian sun was much hotter. - Wear shorts (and a jacket). After hiking for too long, your legs are bound to get hot. - Pack snacks, water and a lunch. Your stomach will thank you. - Use the bathroom before you hike. There's only two "rest areas" on the hiking trails, and they're actually outhouses. With copious "views for days," and unreal photos of the scenery, I have to say that this was one of my favorite hiking experiences. The best part was how "private" it felt. Sure, we ran into some families and tourists hiking here and there, but for the most part on the trails, we were by ourselves enjoying the nature and acting silly, just the way we wanted to. It wasn't crowded and gave us freedom to do as we pleased, which was something I was looking forward to on this trip. 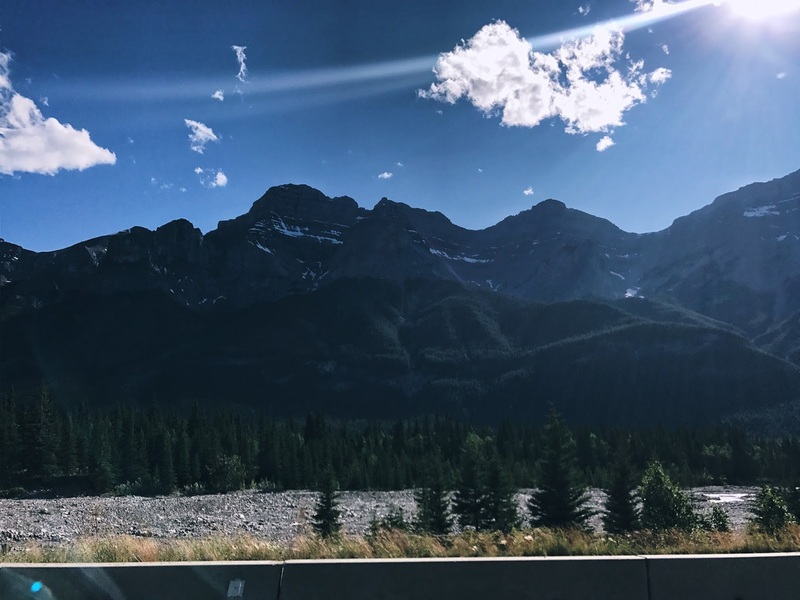 Those were the places we went to in Banff. However, we did have some more places on our itinerary that we weren't able to get to because of time. But I would recommend visiting Parker Ridge Trail. 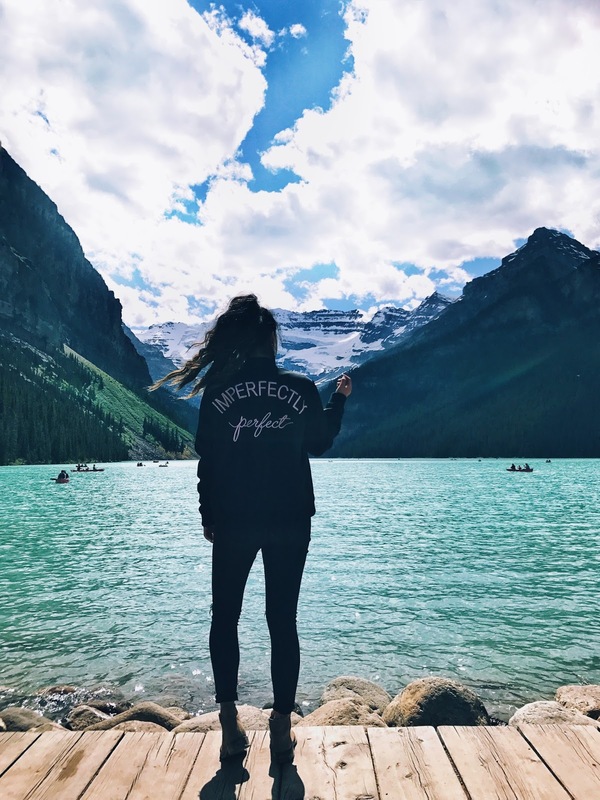 You hike the Icefields Parkway with an unreal view of the glaciers and lakes. 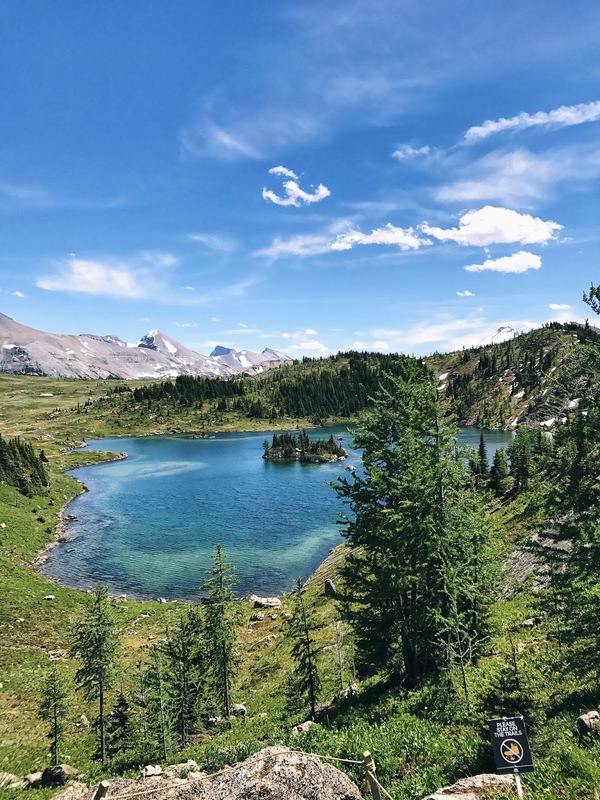 It's apparently "one of the best hikes on the Canadian Rockies." The only reason we couldn't go to this one was because it was too far of a drive. 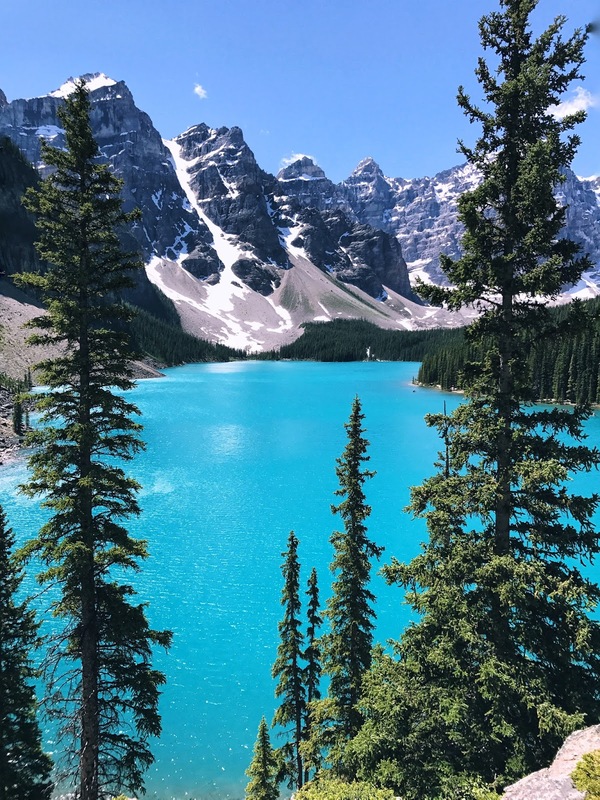 Another interesting fact is that Banff also has a Red Chair Experience Program, where the park officials have placed red, plastic chairs sporadically throughout Banff National Park. 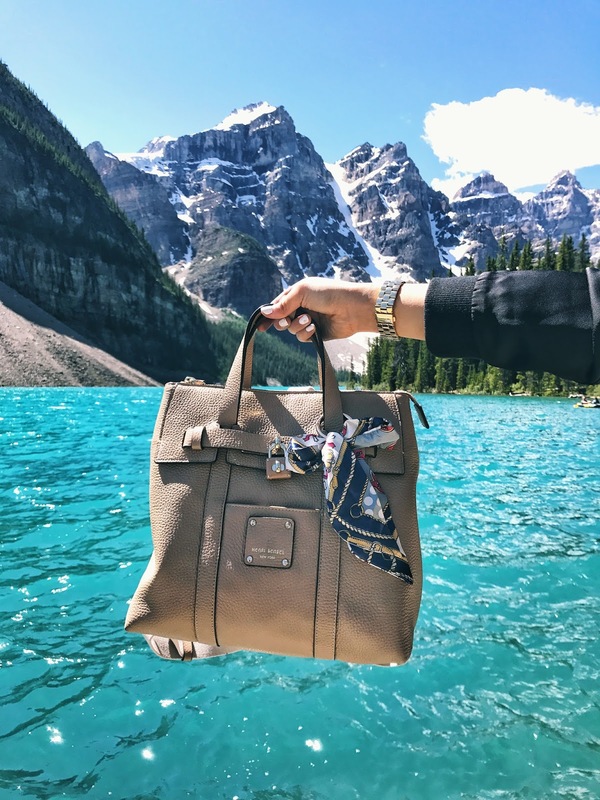 It's one of the highlights of Banff because of its idea to draw people to certain scenic locations throughout the Park and connect them with nature. 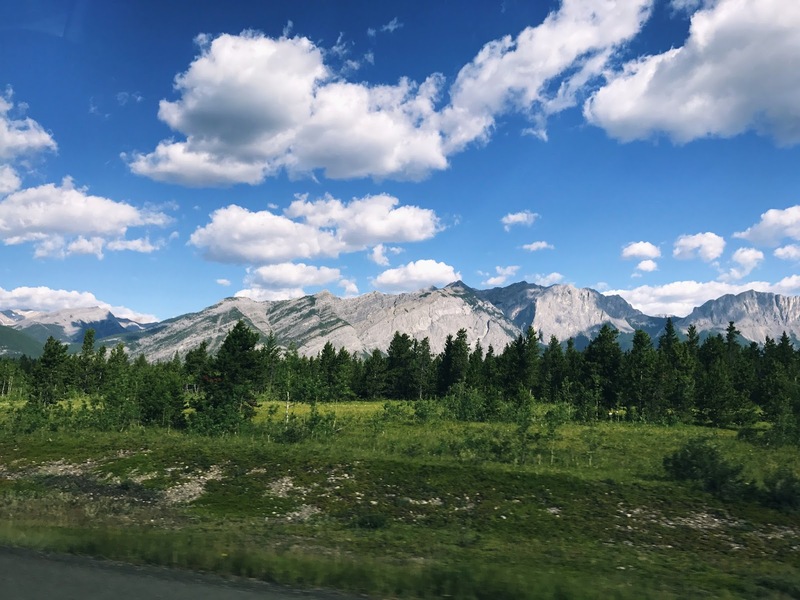 There are chairs in 11 locations so far, including two to three chair sets along the Icefields Parkway. 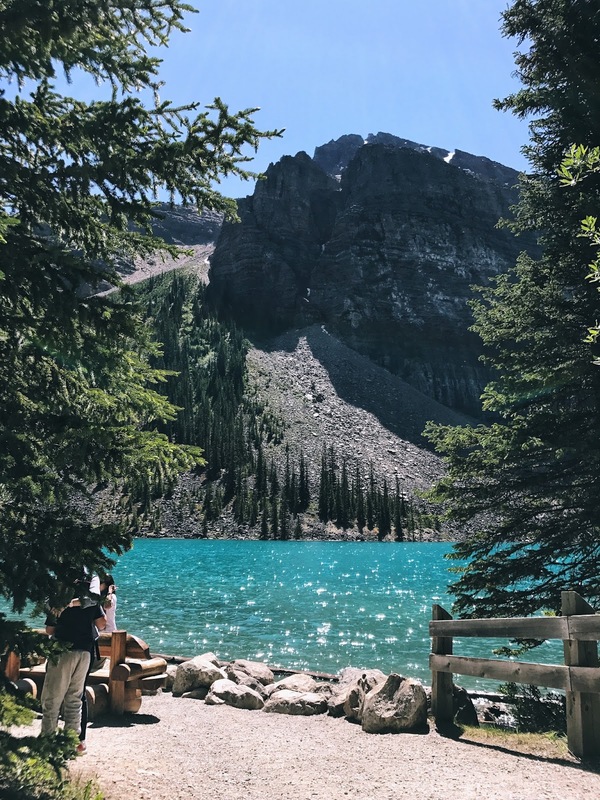 Most people try to hunt down these red chairs to Instagram them, while still getting the full experience of the beautiful scenery that is Banff National Park. 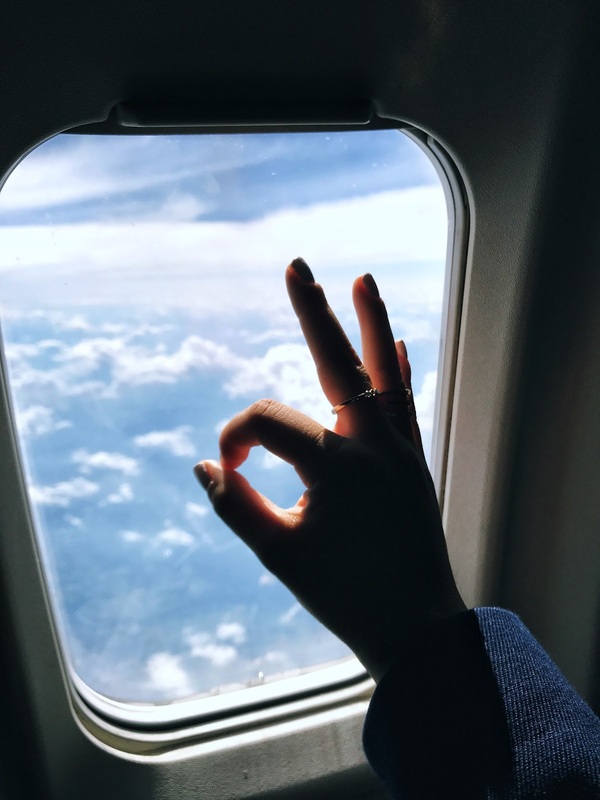 I hope you all enjoyed this travel guide. Stay tuned for a Toronto travel guide post coming soon!